So I know everyone in Charlotte is PUMPED about Chopt. 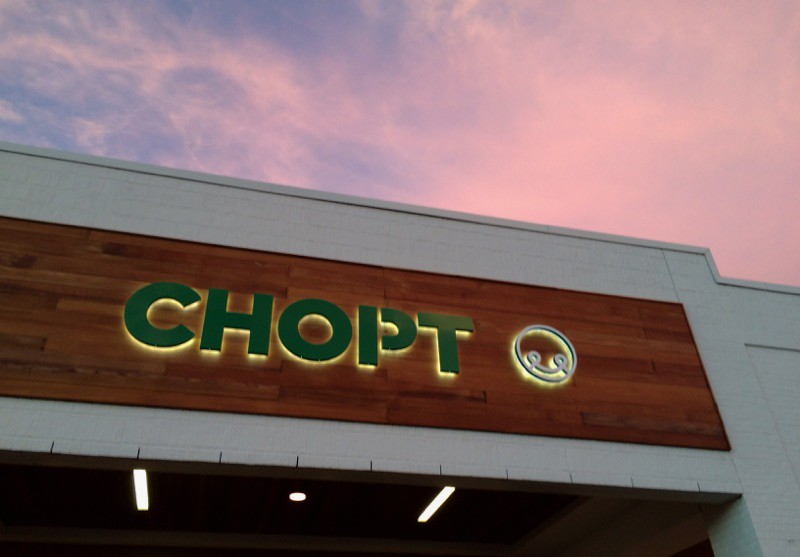 With lots of locations up north, Chopt is not a new restaurant, but down here we’re freakin’ out about it!!! 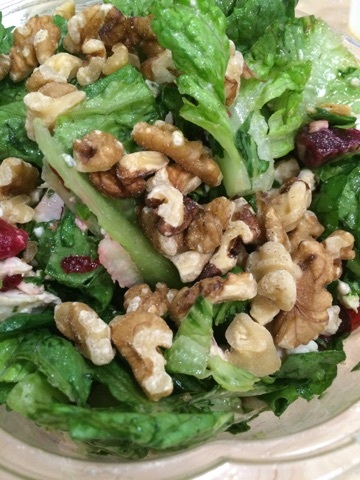 For example: Chopt opened in Park Road Shopping Center on Saturday, and I’ve already been twice. When we walked in, we were immediately greeted by friendly, helpful people who were definitely excited to see us. The decor is super sleek and modern, which fits the food they serve. I knew what I wanted before I walked in (duh) but still looked over the menu. 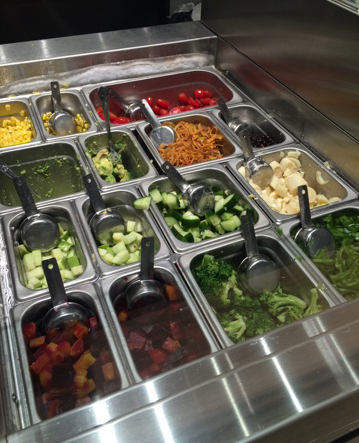 Chopt has lots of salad options (and 26 salad dressings that they’ll let you sample, YUM), but you can also create your own using their fresh, local ingredients. For my FIRST visit, I had the La Chinesca, one of the three current Destination Salads. This included: FreeBird chipotle chicken, brussell sprouts (they were out of the sweet potatoes), wild rice stick, black beans, corn, and a delicious vinaigrette. Great choice. Visit number two included the Harvest Cobb: grilled chicken, gold and purple beets, blue cheese, dried cranberries, apples, walnuts, and white balsamic vinaigrette (so good). Another amazing choice that I can luckily order year-round! Harvest Cobb. I love me some beets. The best thing about Chopt is that it’s right down the road from me. I promise to keep trying new restaurants, but you can expect to find me there pretty dang often. Thanks, Chopt, for gracing CLT with your presence. We love ya already! Next Post Greek Goodness – On Wheels! This is a delightful piece. Breezy tone which I like. Good details. You get a bunch together, and go to a Charlotte Mag or The Observer. You are on a roll. Just one tiny thing. Down at the bottom, you have used “except” instead of “expect”. Can you fix? I want to post on my FB page. So proud of you! So as a fellow food blogger in Charlotte I always enjoy reading other people perspective. 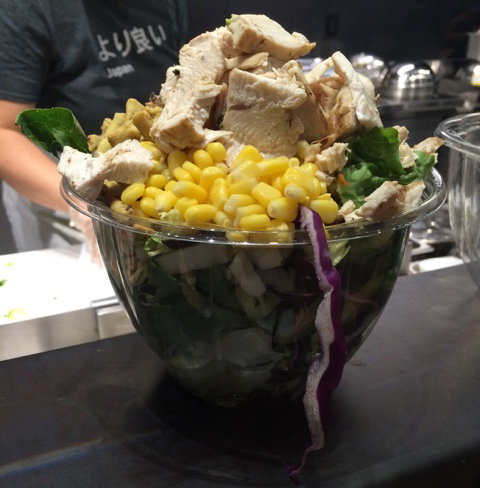 Your article on Chopt stood out to me because it is one of our staples, I probably eat here 4 times a week (even though I live 20 minutes away). I even wrote an article about it. I can certainly relate to your obsession. Thanks so much! Props for how much you go – I need more of it in my life. Excited to check out your blog!